Superintendent David Healy stands next to one of Makerfest 3.0's most popular attractions - a storm trooper. Over the past three years, the Jersey Shore Makerfest has attracted over 200 big and small name innovators including Apple, Barnes and Noble, Boy Scouts, Girl Scouts, Future Ready Schools, Home Depot, Maker Depot, Microsoft, Tuckerton Seaport, the NJ School Boards Association and the NJ Department of Education, as well as school districts from across New Jersey, New York, Connecticut, and Pennsylvania. 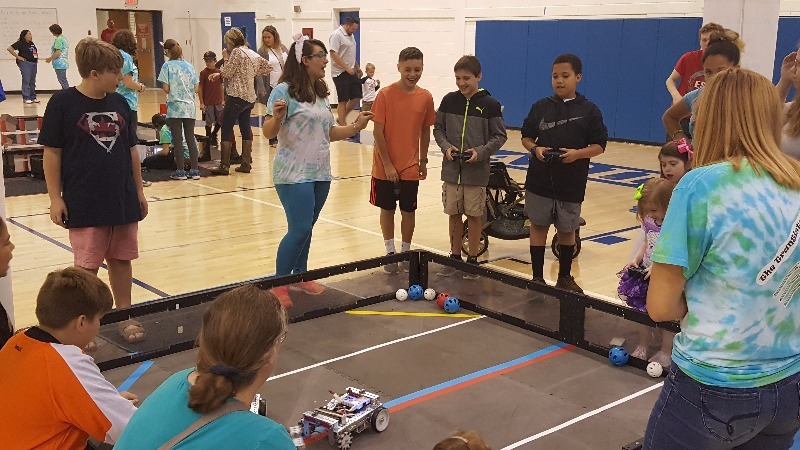 Attendees have had the opportunity to experience the maker revolution in its many forms, from high tech drones, coding, 3D printing, and circuit-building, to more traditional knitting, bonsai cuting, and cooking. 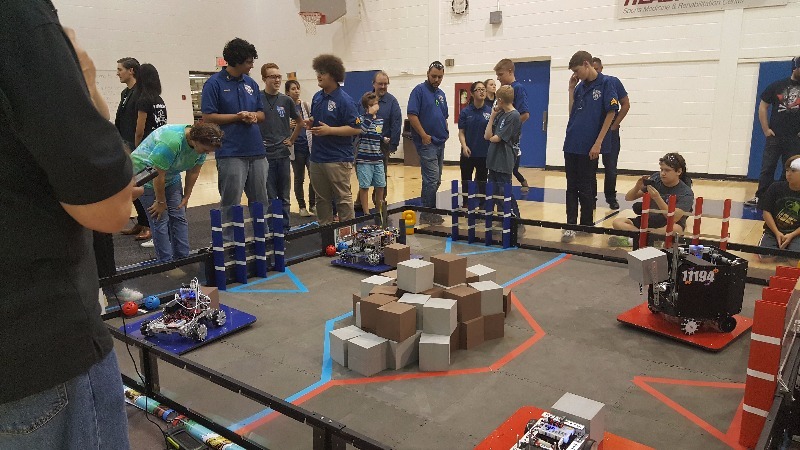 Art met science as robots took over a space of their own in the school gym and Mike “Spindorato” Indorato, an interactive performance artist, served as a live arena centerpiece. Toms River’s Jay and Linda Grunin Foundation returned for its third year as a key supporter and platinum sponsor, helping make the occasion free for attendees and participants alike. 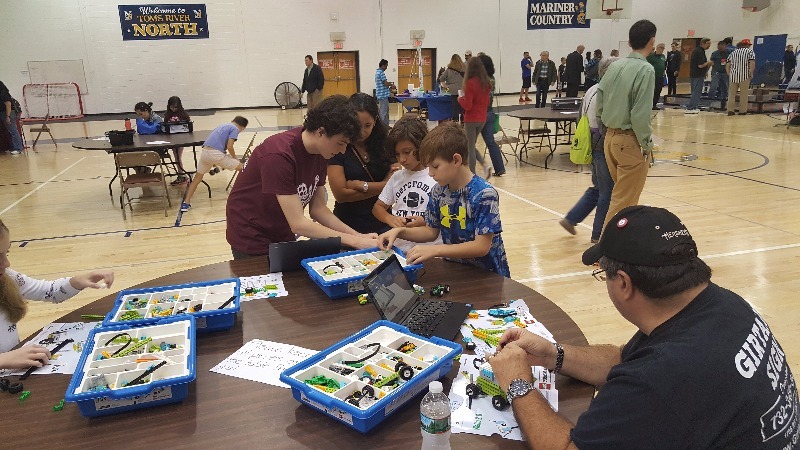 Makerfest 2017 was able to expand to include the first Jersey Shore Hackathon and the Toms River Green Fair. The district worked even more closely with the town Business Improvement District and Chamber of Commerce to highlight innovators, artists, and supporters in the Toms River and Ocean County area. For more information, go to http://jerseyshoremakerfest.org. 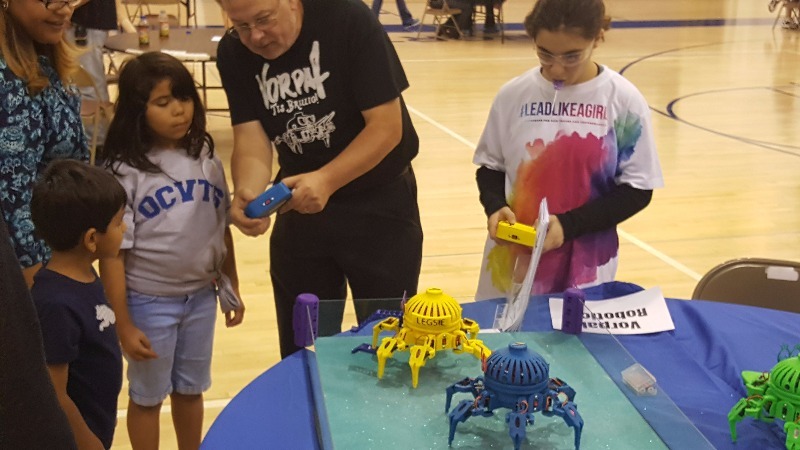 A young girl uses a touch pad to operate a Sphero during Makerfest 3.0. 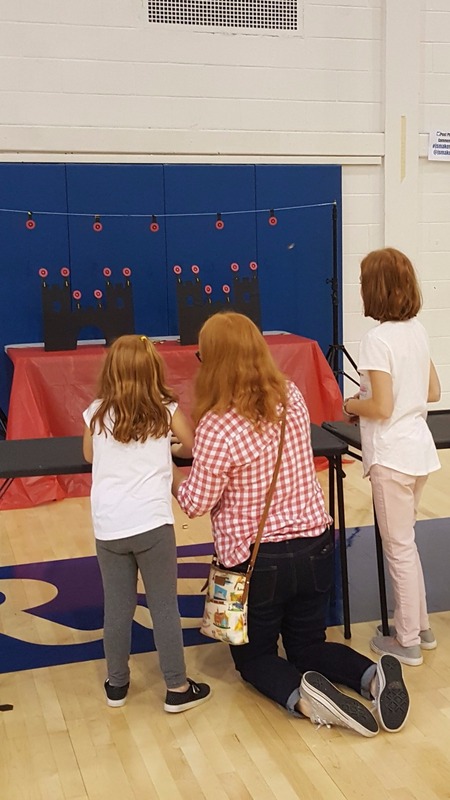 The catapult game was a popular attraction for young kids at Makerfest.